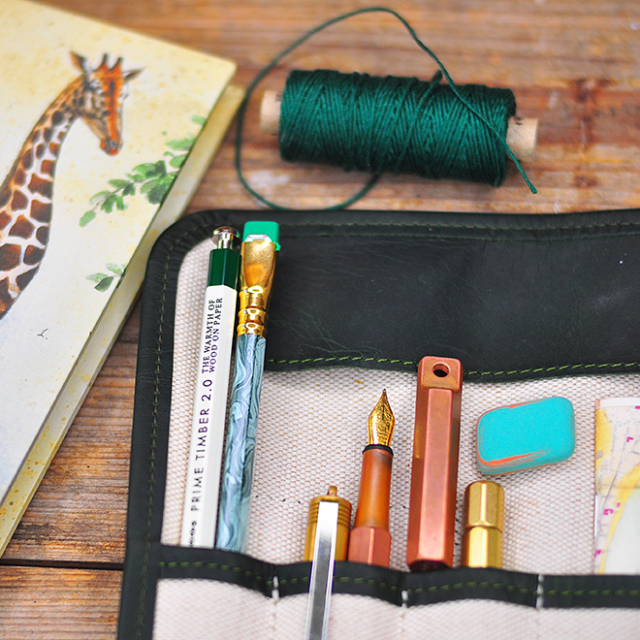 Your writing instruments deserve to store them carefully! 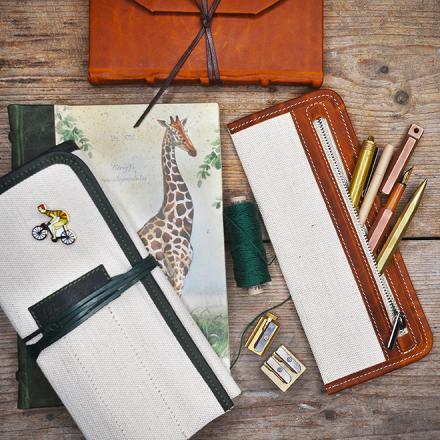 In collaboration with Judit Ducsai designer, we have created a pen case collection using our high-quality colourful leathers and canvas. 3 different forms and sizes with 3 different styles which offer 3 different solutions according to its function. 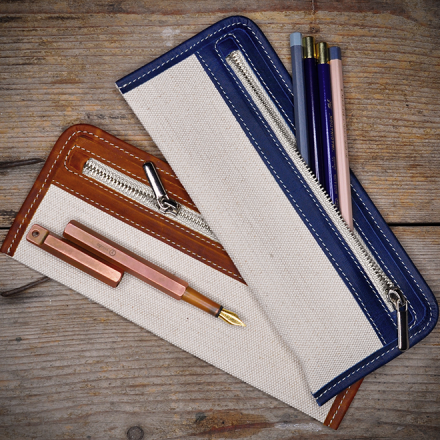 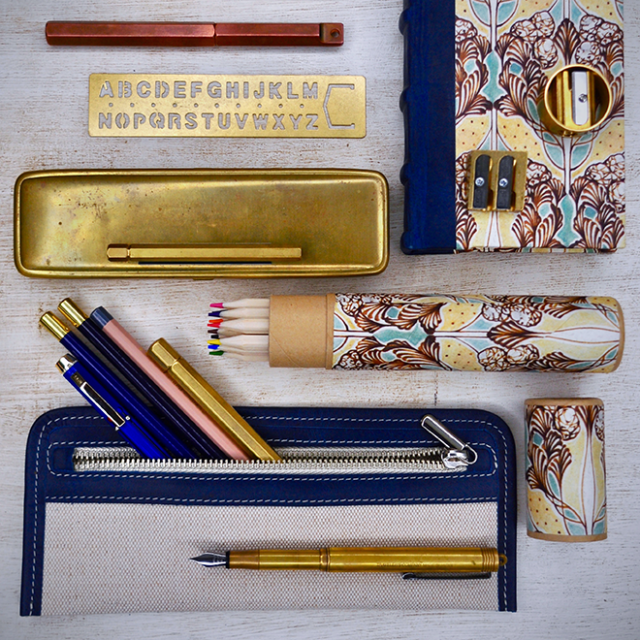 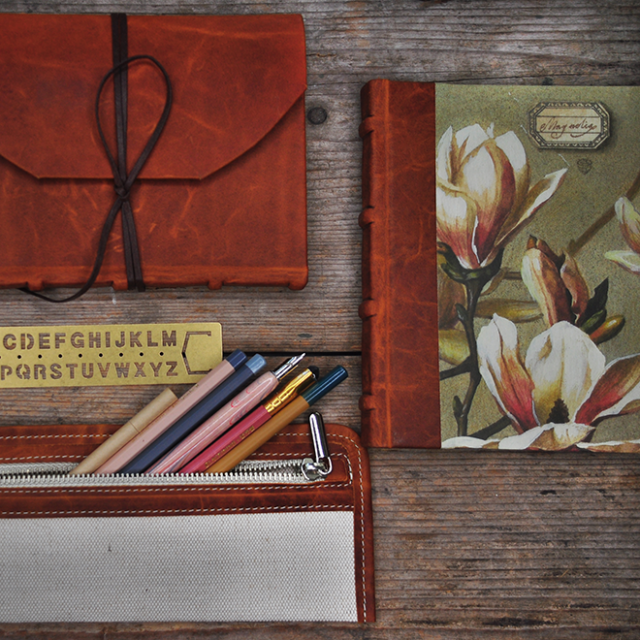 Your pens or pencils will have a safe and well-deserved place: The “Sketch” is a small and strong canvas pen case with blue and cognac colour leather trimmings and zipper. 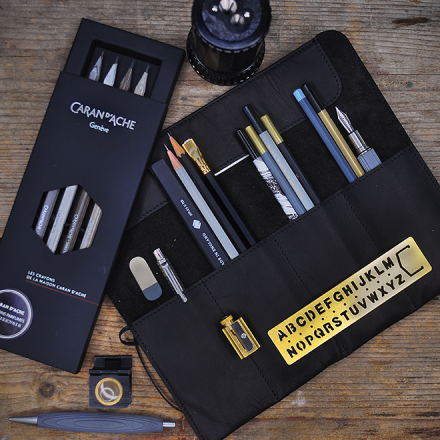 You will be surprised how many writing instruments fits in. 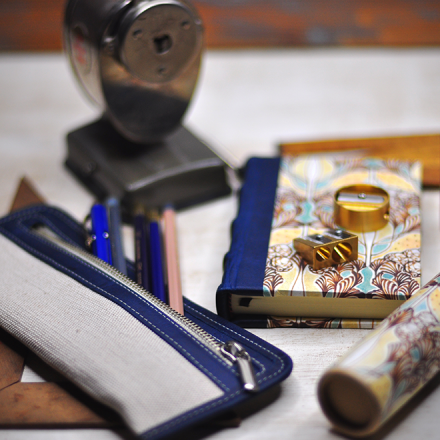 Size: 22,5 x 9 cm. 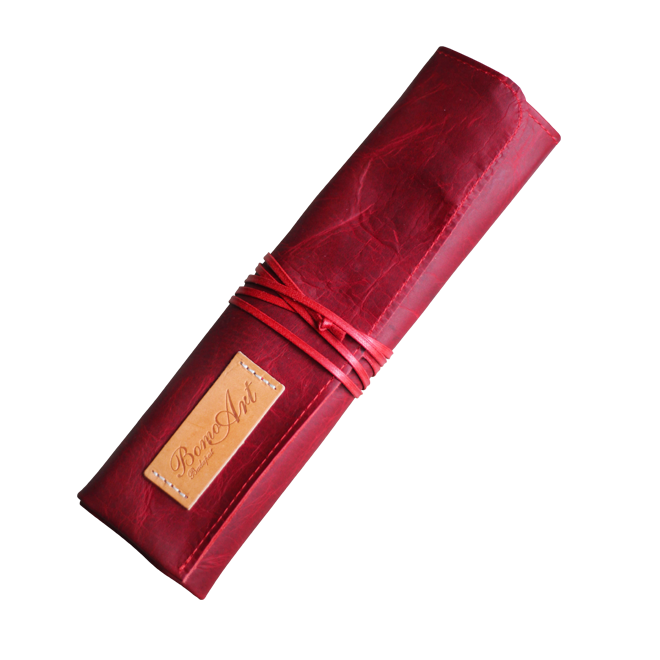 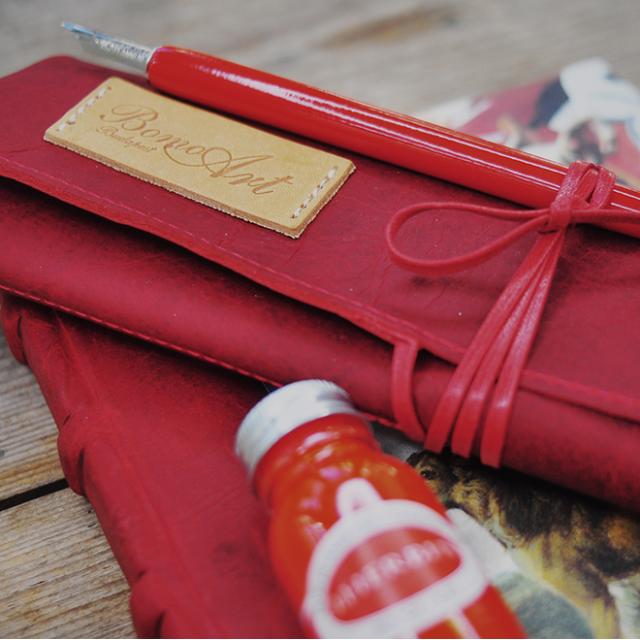 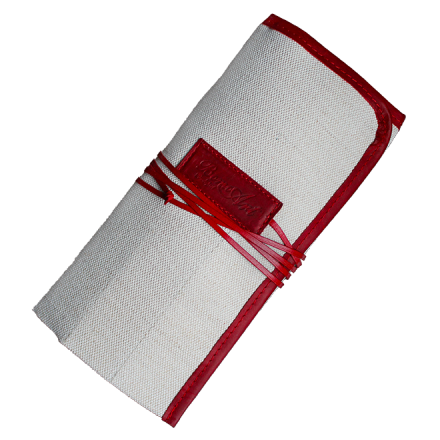 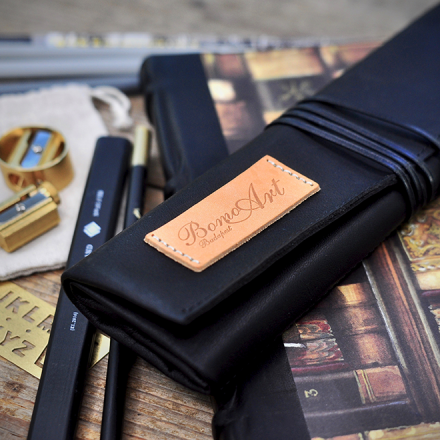 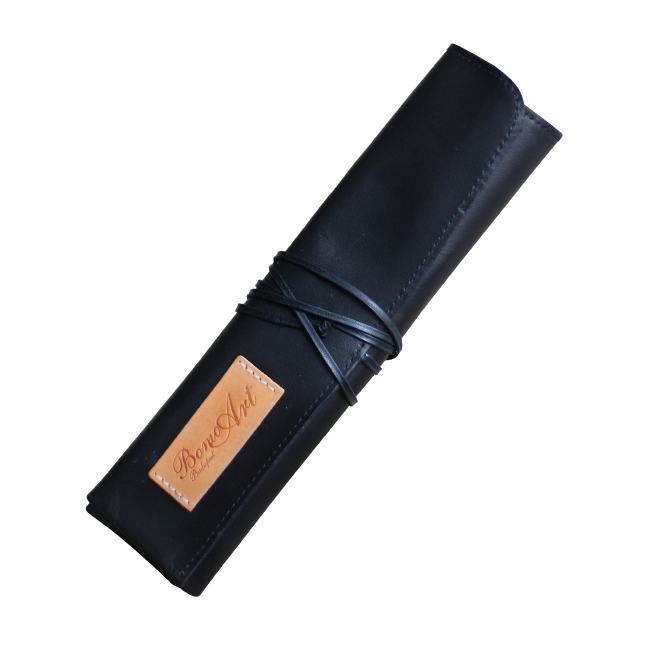 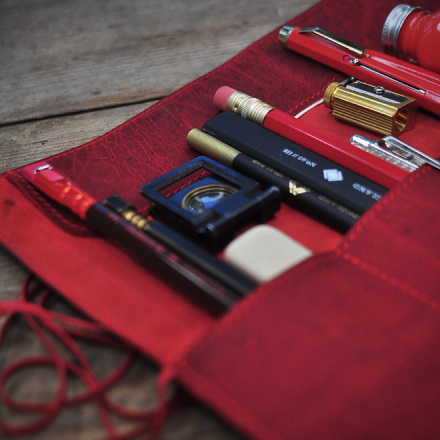 The “Etching” is a roll-up pen case made of high quality tanned black and red leather. 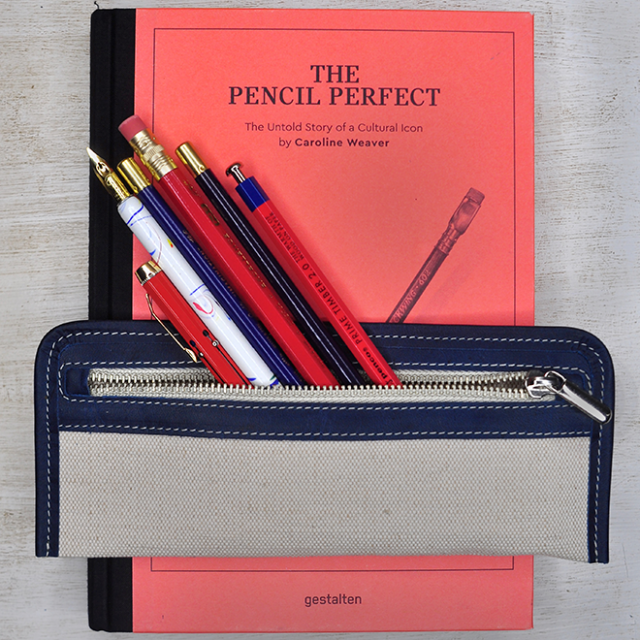 Its scrollable solution helps you to have all your writing instruments or tools in the right place. 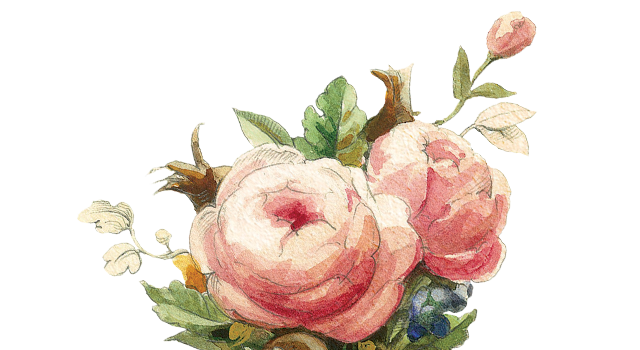 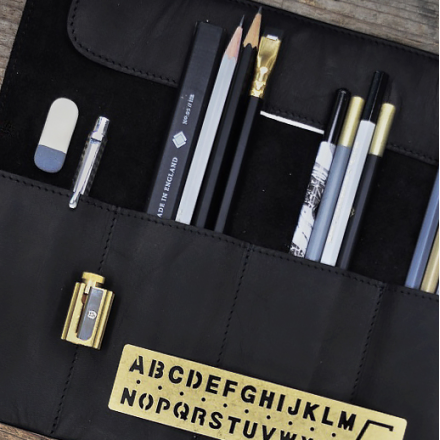 Elegant and easy to fit in a small place. 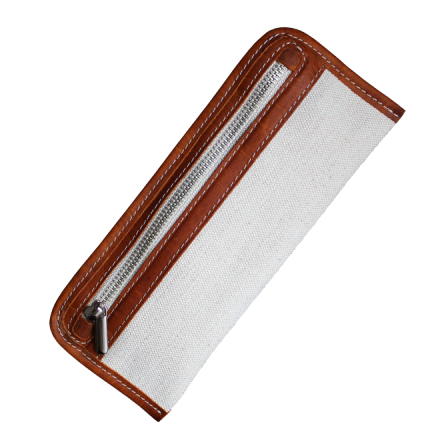 Size: 22 x 6 cm, untwisted 26,5 cm. 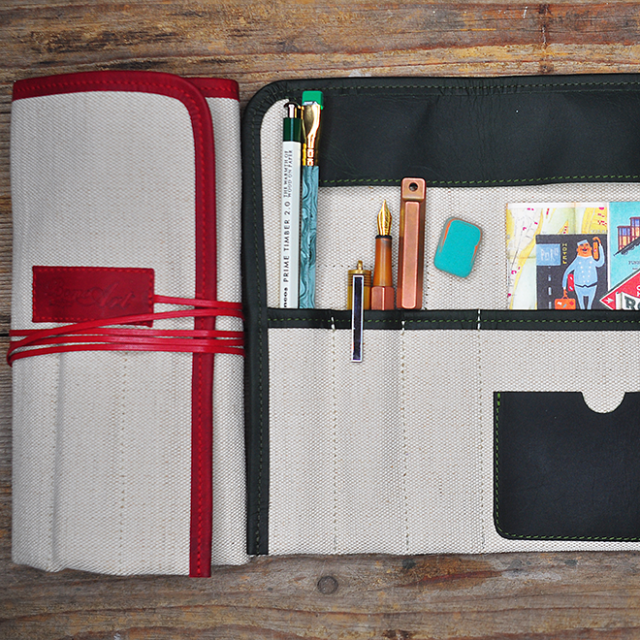 The “Collage” combines the two previous models. 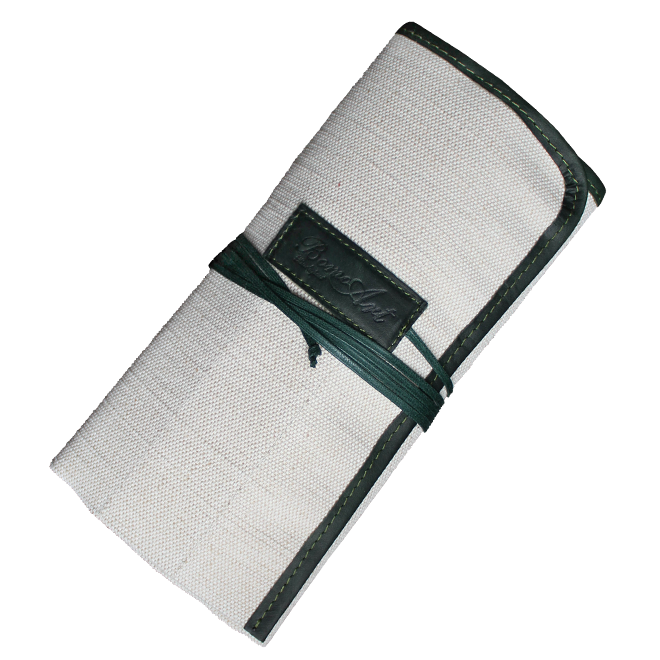 Made of strong canvas, with green and red colour leather trimmings. 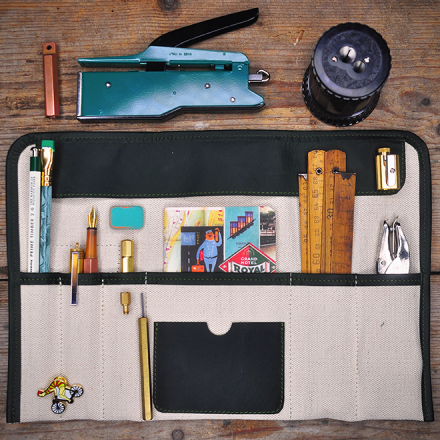 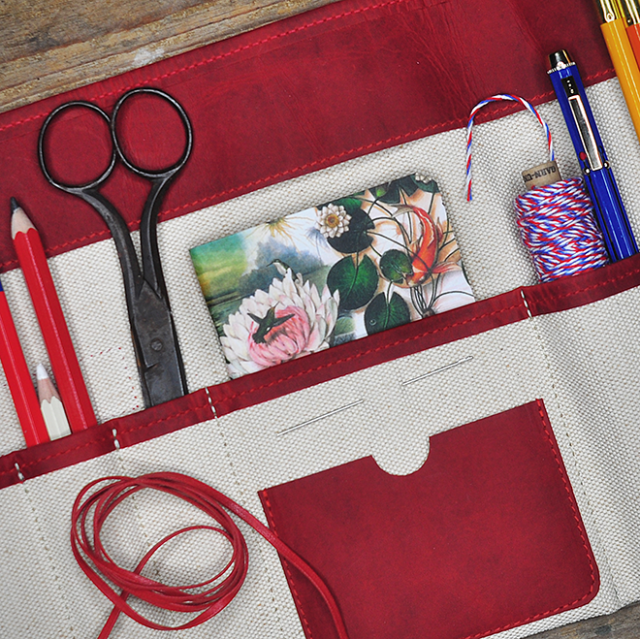 In this roll up pen case, you can store not only your writing instruments but scissors, paintbrushes, knives or other tools. These pen cases even have an A8 size pocket to hold the Bomo Memo notebooks, which we include in every piece in case you need to note or sketch something quickly. 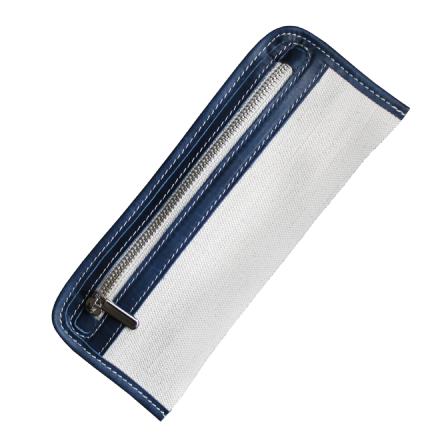 Size: 11 x 22 cm, untwisted 33 cm.